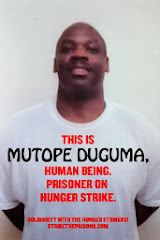 Under no circumstances can we see how CDCr and PBSP can say that they are concerned with the security of the institution but not the many human beings inside this institution who are being tortured and murdered by proxy. The PBSP SHU white male officers are obsessed with the SF Bay View. These officers are reading the SF Bay View front to back, and they hate the fact that someone would even provide a platform for prisoners to express themselves, especially when those prisoners are talking about prison oppression. CDCr and PBSP are censoring SF Bay View in order to censor prisoners, because we are exposing the cruel and unusual treatment of prisoners.